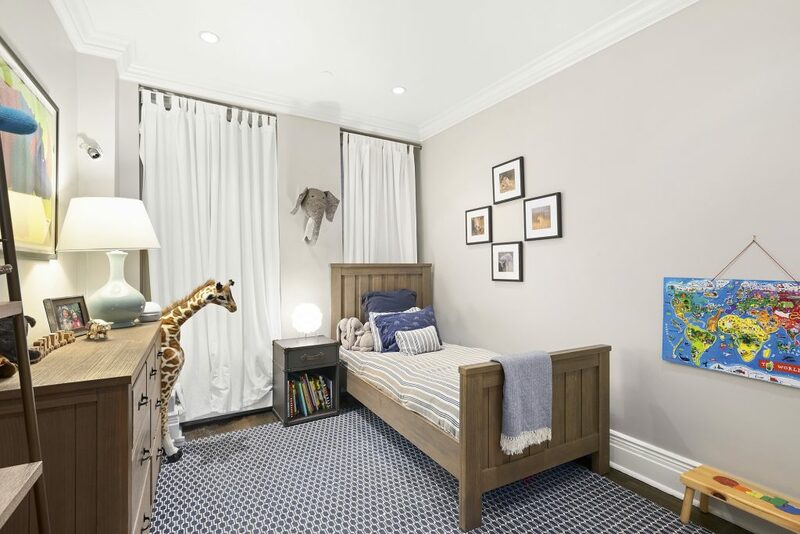 Beautifully executed designer updates converge with old-world proportions in this flawless, park-facing three-bedroom, two-bathroom loft on Tribeca’s serene Duane Park. 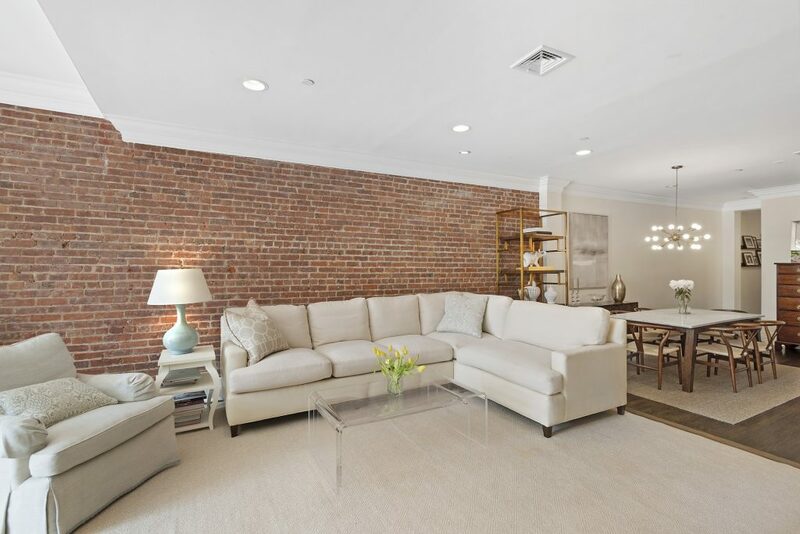 Set within historic bones, this stunning 1,900-square-foot, full-floor loft rivals that found in most new construction units. 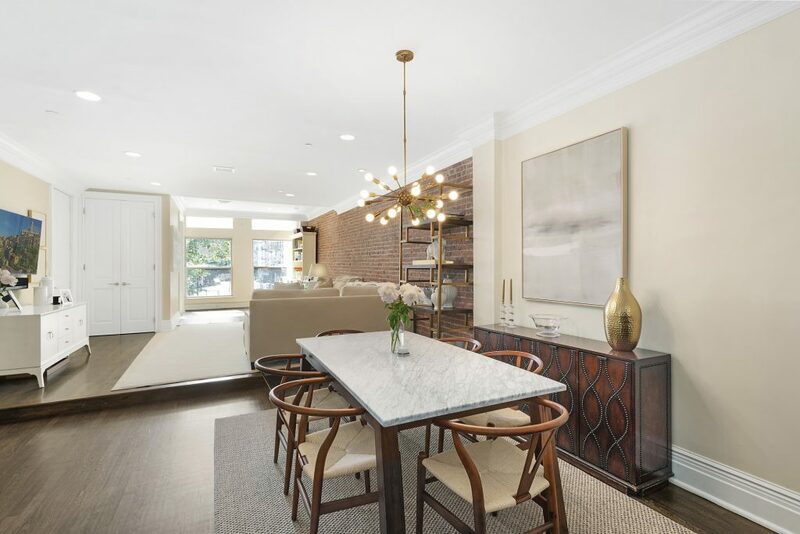 In the sprawling great room, exposed brick, handsome moldings, dark-stained hardwood floors and tall ceilings set an elegant and serene tone, with leafy views of Duane Park right outside four oversized west-facing windows. 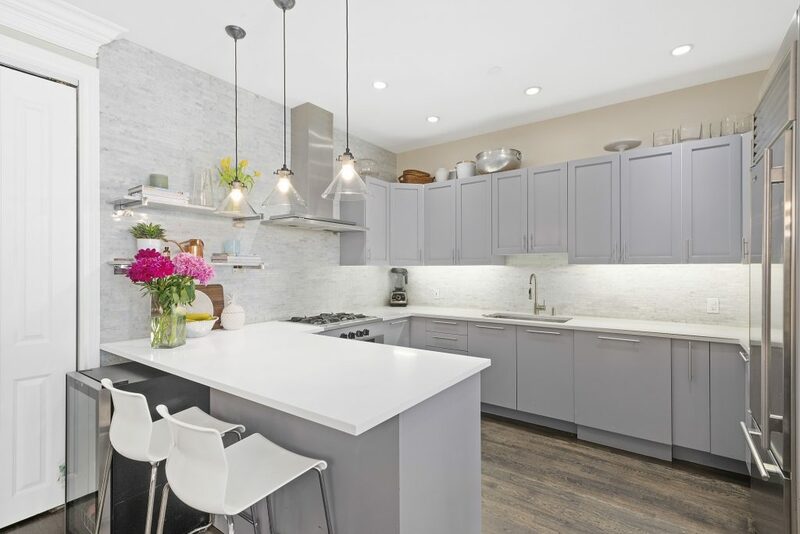 Step down to the oversized dining area, and take in the gorgeous open kitchen outfitted with sleek gray cabinetry and white Carrara marble tile. A large Caesarstone breakfast bar is the ideal spot for casual dining, and the full complement of top-notch appliances includes a Sub-Zero refrigerator, Bosch dishwasher, and hooded Gaggenau range. 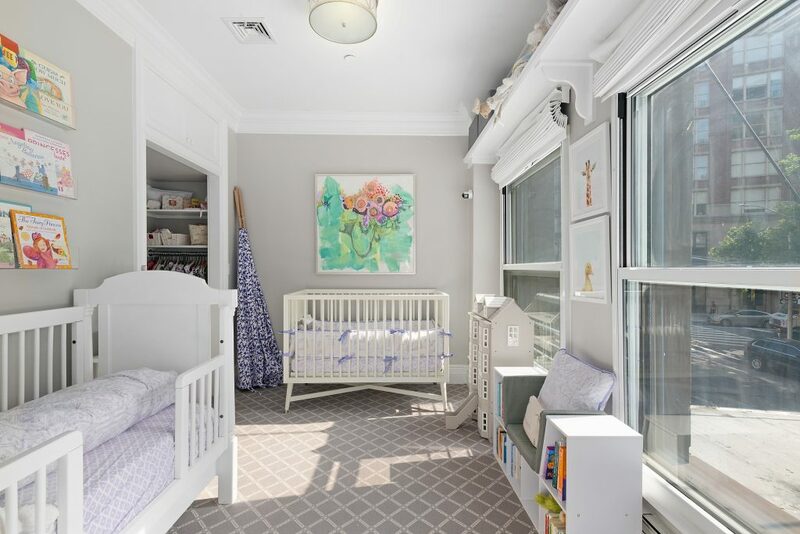 Two bedrooms are tucked in the quiet rear of the 21-foot-wide home, including the lavish master suite with fully outfitted walk-in closet. 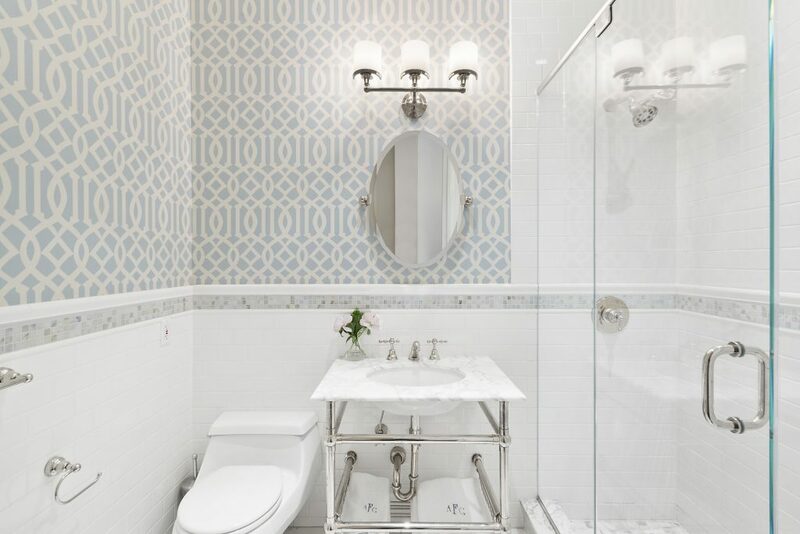 The en suite master bathroom is covered, floor to ceiling, in Carrara marble, from the slab counter to the handsome mosaic tiles. 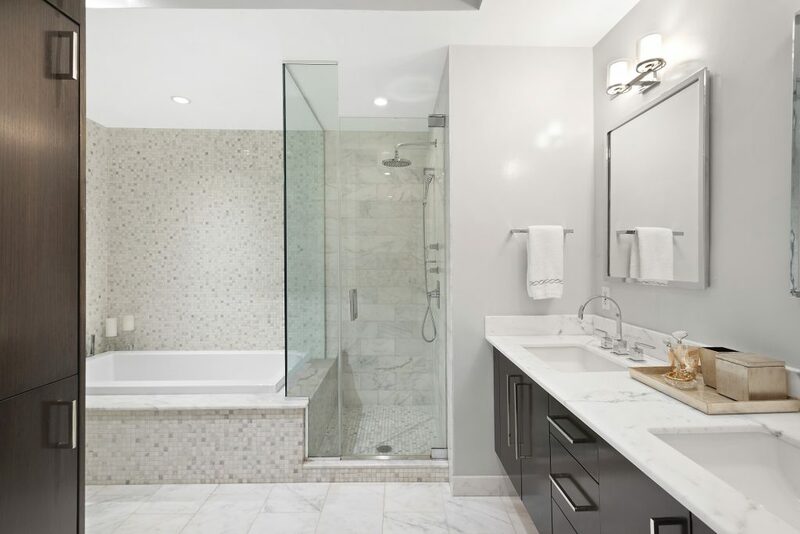 A frameless glass rain shower is positioned adjacent to the extra-deep soaking tub. 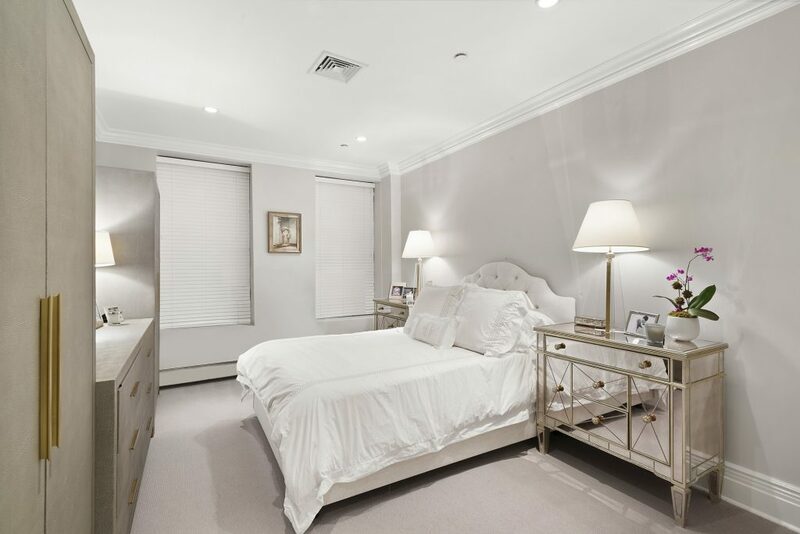 Recessed lighting throughout is controlled by Lutron dimmers, central air ensures year-round comfort, and a Bosch in-unit washer-dryer conveniently attends to laundry in this stellar Tribeca showplace. 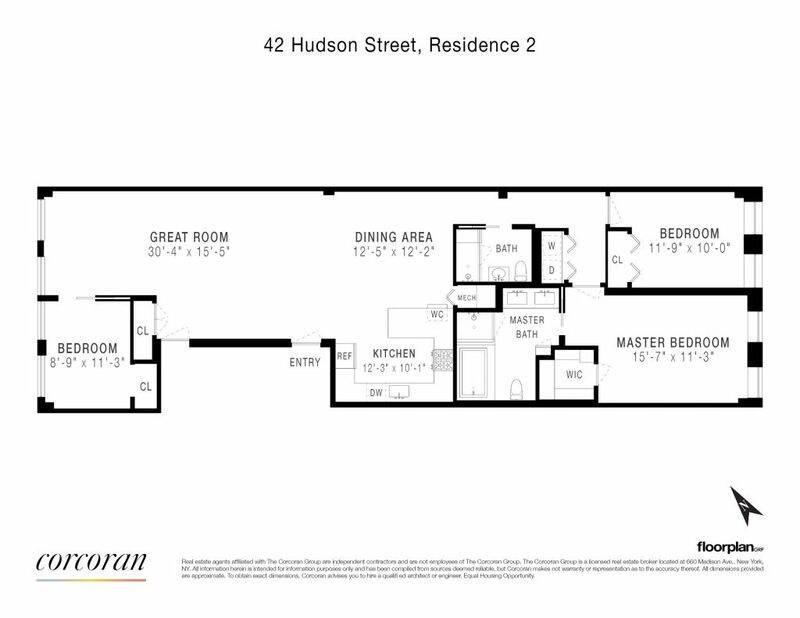 Located within the Tribeca Historic District, 42 Hudson Street is an 1896 store-and-loft building designed by the revered George F. Pelham in the Renaissance Revival style. Today, the building serves as a private boutique condominium with a ground floor commercial space and just five residential lofts. Residents of the pet-friendly building enjoy secure keyed-elevator access and storage in the building. 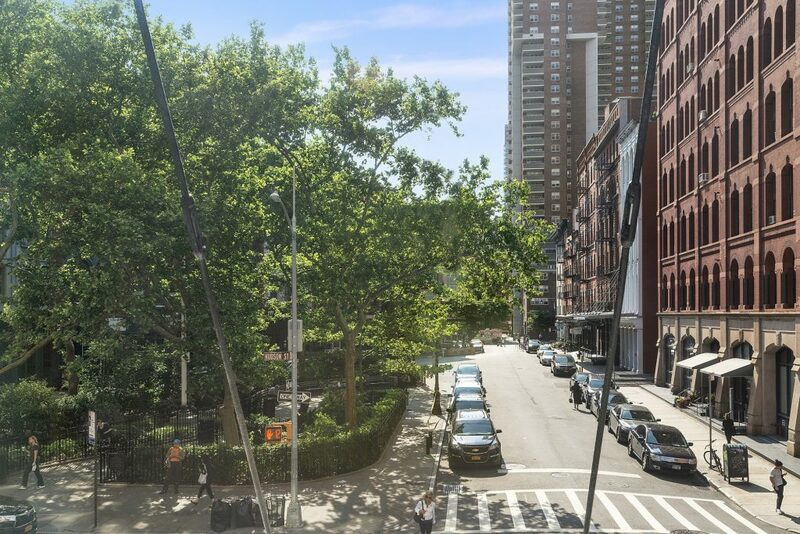 Set midblock on Hudson Street, directly across from Duane Park, this phenomenal location drinks in the best of New York City accessibility coupled with Tribeca tranquility. Enjoy phenomenal dining at Frenchette, Mr. Chow, Estancia, Tiny's and Locanda Verde. 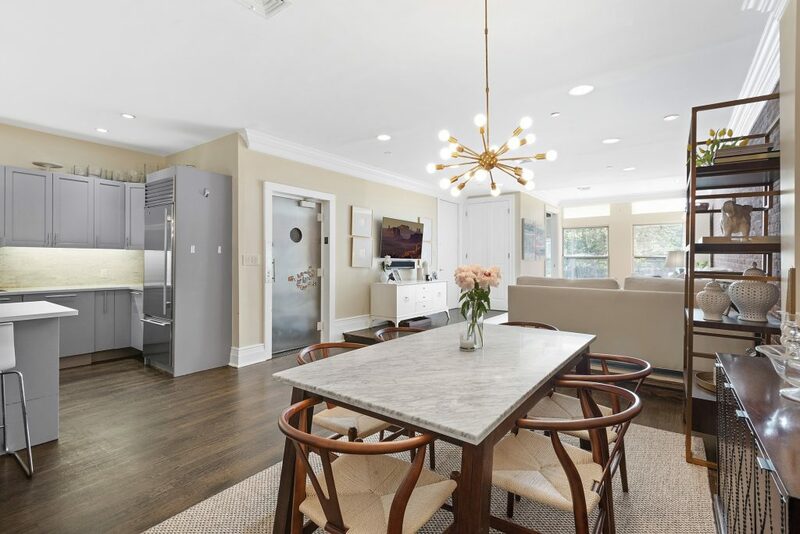 Or make use of the phenomenal kitchen with ingredients from Whole Foods or the year-round Tribeca greenmarket, both within blocks. Delightful Washington Market Park is inches from your front door, and Hudson River Park provides 500 acres of recreation and outdoor space along the river. Phenomenal access to A/C/E, 1/2/3, R/W and PATH trains puts the rest of the city within easy reach. Also located in District 2, and PS234 school district.